MainAll NewsUS & CanadaCould State Department spokeswoman replace Haley? Could State Department spokeswoman replace Haley? President Trump reportedly meets Heather Nauert in connection with the post of United Nations ambassador. US President Donald Trump met on Monday with State Department spokeswoman Heather Nauert on Monday as he searches for a new United Nations ambassador to replace Nikki Haley, two people familiar with the matter told Bloomberg. The president spoke to Jamie McCourt, his ambassador to France, about the job last Friday. Nauert did not return phone calls and text messages seeking comment on Monday. Haley announced earlier this month that she will exit the administration by the end of 2018, citing her desire to "take a break" from public service. 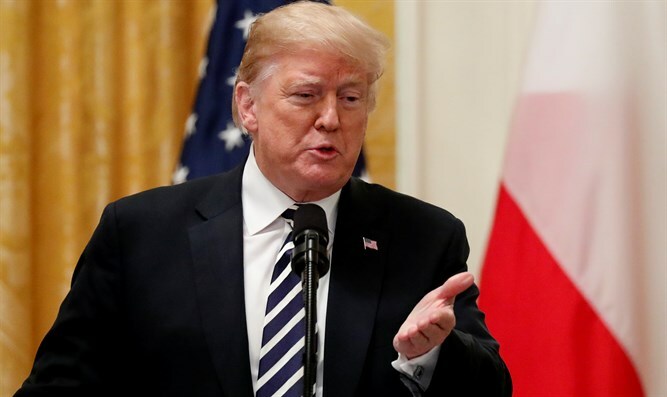 Other candidates Trump has considered since Haley’s announcement include Richard Grenell, the US ambassador to Germany, former White House aide Dina Powell and the US ambassador to Canada, Kelly Craft. Trump recently indicated he would prefer that Haley’s successor be a woman, but noted he is still considering several people for the position. Nauert, 48, would be an unorthodox choice for the UN role given that she had little experience in government or foreign policy before joining the administration in April 2017 after several years as an anchor and correspondent for Fox News. Nonetheless, she has gained Secretary of State Mike Pompeo’s trust after being excluded from the inner circle of his predecessor, Rex Tillerson, noted Bloomberg. She is also closely aligned with Trump’s daughter, Ivanka Trump, and her husband Jared Kushner.